The K-State FPA Chapter is off to a busy start this school year. The chapter attended the FPA of Greater Kansas City Career Day to network with professionals within the industry and seek out possible internships and job opportunities. The group also traveled to the National FPA Conference in Chicago the first week of October. Abby Pope, Jack Giardino, and Landon Warmund placed third overall in the National Financial Planning Competition. 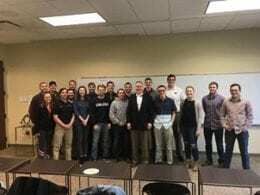 Other members that attended the conference included: Adam Eilert, Brandon Sutcliffe, Brett Landoll, Emma Hahn, Morgan Ziegler, Rachel McCullough, and Thomas Meek. These members had the opportunity to network with individuals from all around the nation and sit in on presentations given by well-respected individuals from the industry. The K-State FPA group has also hosted, and will continue to host, professionals from the industry to visit with students about the industry and answer any questions they may have. 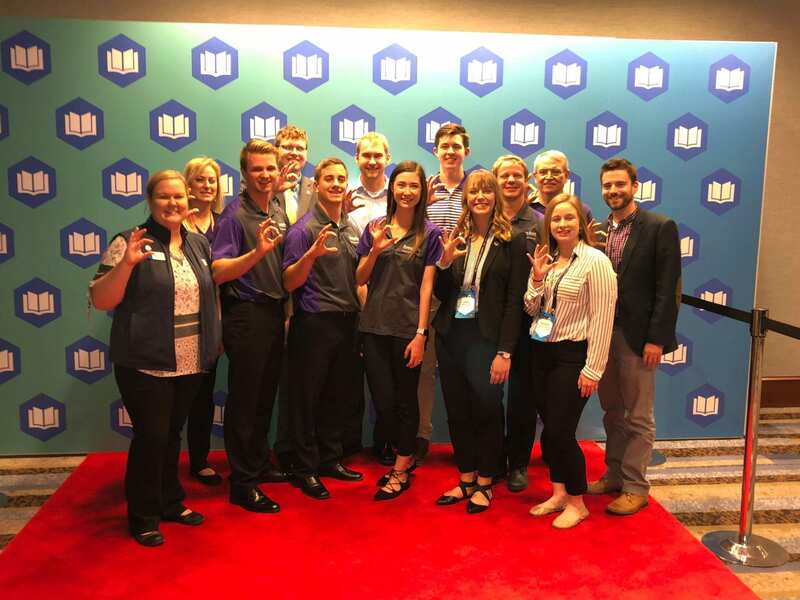 One of the chapter’s main goals has been to continually grow and get students involved: K-State FPA currently has roughly 40 active members and they don’t plan on stopping there! This will be an exciting and eventful year for FPA of K-State and we are eager for what this school year has in store for us. Current officers for the group include: President, Jack Giardino, senior; Vice President, Thomas Meek, junior; Treasurer, Benaiah Gorman, senior; Secretary, Adam Eilert, senior; and Faculty Advisor, Dr. Martin Seay.